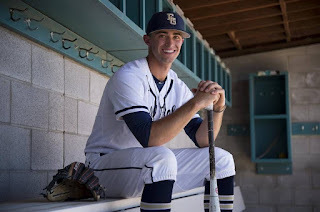 Elk Grove High’s Riley Lamb was a star on the mound and with the bat. 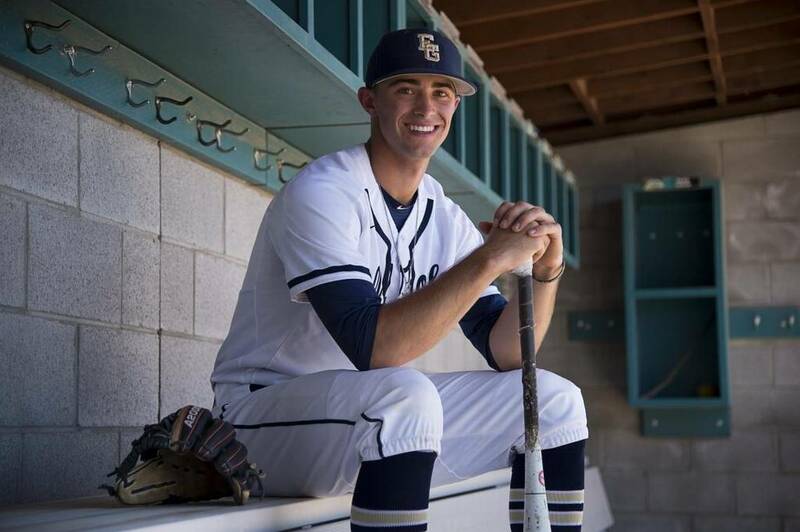 The USC-bound pitcher helped the Thundering Herd win their third consecutive Sac-Joaquin Section Division I banner. Riley Lamb, Elk Grove, Sr.
Diego Black, Christian Brothers, Sr.
Tanner Carlson, Elk Grove, Jr.
Alex LeForestier, Christian Brothers, Sr.
Patrick Smith, Oak Ridge, Sr.
Justin Williams, Cosumnes Oaks, Jr.
Tanner Cunha, Christian Brothers, Sr.
Darren Nelson, Granite Bay, Sr.
Trenton Denholm, Oak Ridge, Sr.
Tyler Pon, Capital Christian, Sr.
George Spithorst, Elk Grove, Jr.
Jake Jordan, Elk Grove, Jr.
Matt Voelker, Granite Bay, Sr.
Chase Thatcher, Del Oro, Sr.
Jeffrey Jamison, Del Campo, Jr.
Caden Laffan, Christian Brothers, Sr.
Brett Graber, Captal Christian, Jr.
David Joseph, Del Campo, Jr.
Brian Freitas, Elk Grove, Jr.
Dylan Garrett, Laguna Creek, So. Robert Gasser, Oak Ridge, Sr.
Aiden Taylor, Rio Americano, Jr.
Richard Meyers, Del Oro, Sr.
Kenny LeBeau, Granite Bay, Sr.
Kenny Williams, Elk Grove, So. CATCHERS: Logan Appino, Cordova; Max Aubrey, Liberty Ranch; Cole Brown, Rocklin; Griffin Duisenberg, Davis; Michael Farley, El Camino; Ben Grigsby, El Dorado; Emani Jones, Del Oro; Jeremy Kolb, Elk Grove; Michael Nelsen, Vista del Lago; Hayden Reyna, Yuba City; Troy Rice, Capital Christian; Gabriel Ruelas, Monterey Trail; Andrew Sanchez, Laguna Creek; JC Santini, Woodcreek; Cameron Skattabo, Rio Linda; Jake Sullivan, San Juan; Caleb Watson, Valley Christian; Ty Williams, Lincoln. INFIELDERS: Vinnie Bachelier, Capital Christian; Tino Bethancourt, Oak Ridge; Kordell Brown, Elk Grove; Alex Crouch, Bradshaw Christian; Joe Hagopian, Jesuit; Mike Ingram, Christian Brothers; Lane Field, Whitney; Kevin Fitzgerald, Laguna Creek; Jacob Harris, Pleasant Grove; Matt Langbehn, Folsom; Isiah Lissade, Pleasant Grove; Nick McCormick, Vista del Lago; Cody Oldwin, Del Oro; Zach Reyes, Oak Ridge; Brennan Rozell, Lincoln; Troy Shields, Jesuit; Evan Stafford, Folsom; Cole Stone, Vista del Lago; Chase Tarr, Marysville; Alex Torres, Bella Vista; Justin Williams, Cosumnes Oaks; Eric Yermenos, Capital Christian. OUTFIELDERS: Cameron Allie, Oak Ridge; Shane Betts, Placer; Adam Hughes, Bradshaw Christian; David Jorgensen, Capital Christian; Paul Martinez, Valley; Rudy Mendoza; Jorge Montoya, Sheldon; Jared Palmyra, Lincoln; Brent Schaeffer, Vista del Lago; James Sweet, Lincoln; Jacob Tucker, Christian Brothers; Dawson Weber, Pleasant Grove; Aaron Whittle, Union Mine. PITCHERS: Tyler Adge, Jesuit; Josh Caldwell, Cosumnes Oaks; John Cross, Oak Ridge; Connell Ellner, Pleasant Grove; Shane Ellner, Pleasant Grove; Jakob Frederick, Del Oro; Kyle Galart, Pioneer; Connor Lane, Bradshaw Christian; Ryan Marcoccia, Del Campo; Leo Martinez, Lincoln; Brooks McKeighen, Valley Christian; Brady Rodriguez, Oak Ridge; Grant Stevens, Franklin; Brian Sullivan, Marysville; Nic Wilson, Rio Americano. UTILITY: Ryan Aguilar, Rio Linda; David Alway, Valley Christian; Larry Ansel, Del Campo; Jaime Arias-Bautista, Woodland; Carson Blatnick, Oakmont; Corey Cater, Valley Christian; Donovan Gonzalez, Valley Christian; Steven Langley, El Camino; Addison Lueras, Ponderosa; Ryan Marcoccia, Del Campo; Kade McKechnie, Christian Brothers; Brandon Motehal, Mesa Verde; Tyler Mortensen, Davis; Andrew Taylor, Christian Brothers; Chris Rogers, West Campus; Keith Walker, Rocklin; Hogan Weaver, San Juan; Dustin Wymer, Rio Linda; Shawn Zamora, Elk Grove. An alum of the school who played baseball for famed coach Ron Limeberger in the 1970s, Henning guided the Falcons to their first Sac-Joaquin Section championship, doing so in Division III to cap a 29-2 season that included regular-season victories over Division I top seed Vacaville and longtime rival Jesuit. CB had lost four times in the section finals since 2002. The 2016 All-Metro baseball team is here.